*Based on surgeon survey data, November 2017 (N = 85). ‡When compared to Mentor® Artoura® Tissue Expanders. In vivo significance has not been established. Based on implant performance testing; clinical significance has not been established. Methodology Breast implant devices (n = 6 per group) were placed in a horizontal orientation on a sliding stage; the width and maximum projection of the implants were measured using fixed calipers. The devices were then placed in a vertical-supported orientation using a 90° angle, and the width and maximum projections were measured again. From those measurements, the retention of dimension was calculated and the relative change was determined. 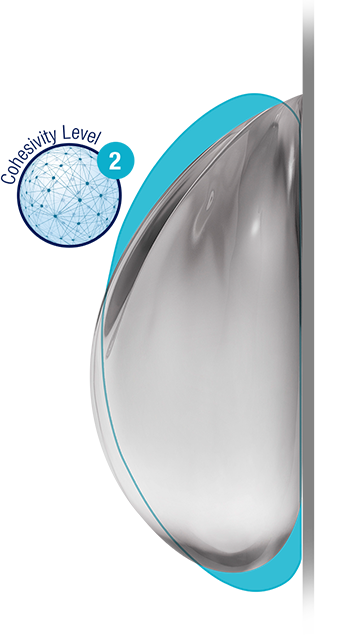 The cohesive gel in all Natrelle® Gel breast implants is designed to hold together. Find the precise match for your patients quickly and easily by downloading the Natrelle® MatchMaker app. App Store for OS devices. Who already have implanted devices that would be affected by a magnetic field (eg, pacemakers, drug infusion devices, artificial sensing devices). Whose tissue at the expansion site is determined to be unsuitable. DO NOT use Natrelle® 133 Tissue Expanders in patients who already have implanted devices that would be affected by a magnetic field (see Contraindications), because the MAGNA-SITE® integrated injection site contains a strong rare-earth, permanent magnet. Diagnostic testing with Magnetic Resonance Imaging (MRI) is contraindicated in patients with Natrelle® 133 Tissue Expanders in place. DO NOT expand if the pressure will compromise wound healing or vasculature of overlying tissue, or beyond patient or tissue tolerance. Stop filling immediately if tissue damage, wound dehiscence, abnormal skin pallor, erythema, edema, pain, or tenderness are observed. Natrelle® 133 Tissue Expanders are temporary, single-use only devices, and are not to be used for permanent implantation or beyond 6 months. Tissue expansion in breast reconstruction typically requires 4 months to 6 months. When using suturing tabs be careful to avoid piercing the shell. Use a new one if damage occurs. Active infections may need to be treated and resolved before surgery. Allergan relies on the surgeon to know and follow proper surgical procedures and carefully evaluate patient suitability using standard practice and individual experience. Avoid damage to the tissue expander and use a sterile backup in case of damage. Pay careful attention to tissue tolerance and hemostasis during surgery. Expansion should proceed moderately and never beyond patient or tissue tolerance. Avoid contamination in any postoperative procedure. Deflation, tissue damage, infection, extrusion, hematoma/seroma, capsular contracture, premature explantation, displacement, effects on bone, pain, sensation, distortion, inadequate tissue flap, and inflammatory reaction. The Natrelle® Silicone Sizer and the Allergan Saline Sizer are indicated for single use only for temporary intra-operative insertion in the surgical pocket to evaluate and assist in determining the final breast implant size/volume. The Natrelle® Re-sterilizable (410 and Round) Silicone Breast Implant Sizer is used during breast augmentation or reconstruction procedures to assist the surgeon in determining the appropriate size of a breast implant to use. All sizers are contraindicated for use as long-term breast implants or tissue expanders. The Natrelle® Silicone Sizer and the Allergan Saline Sizer are contraindicated for multiple patient use or multiple sterilizations. Sizers are designed for temporary intra-operative use only and are NOT long-term implants. DO NOT alter, insert or attempt to repair a damaged sizer. DO NOT reuse the Natrelle® Silicone Sizer or the Allergan Saline Sizer, which are for single use only. The Silicone Sizers may rupture and release silicone gel. Infection, necrosis, hematoma/seroma and pain may occur following any type of surgery. Minute quantities of silicone gel may diffuse through the elastomer envelope. The surgeon must carefully evaluate patient suitability and be knowledgeable about the use of this device. DO NOT expose the sizer to contaminants. Avoid damaging the sizer with surgical instruments (e.g. sharp, blunt or cautery devices). DO NOT attempt to repair damaged products. DO NOT damage the sizer by overhandling, manipulation, or excessive force. Maintain a sterile back-up sizer during surgery. Adverse events and/or complications may include sepsis, hemorrhage, thrombosis, bleeding, and/or infection. For more information, please visit www.allergan.com/labeling/usa.htm. To report a problem, please call Allergan at 1-800-433-8871. Intraoperative Breast Implant Sizers are available by prescription only. Most SkinMedica® products are intended to meet the FDA’s definition of a cosmetic product, an article applied to the human body to cleanse, beautify, promote attractiveness, and alter appearances. These SkinMedica® products are not intended to be drug products that diagnose, treat, cure, or prevent any disease or condition. These products have not been approved by the FDA and the statements about SkinMedica® products herein have not been evaluated by the FDA. References: 1. 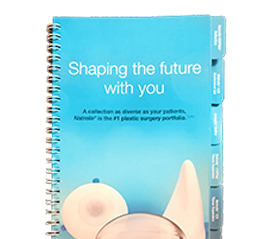 Data on file, Allergan, November 2017; Plastic Surgery Monthly Tracker: Breast Implants, Tissue Expanders, ADMs, and Fat Transfer. 2. Data on file, Allergan, January 2017; Allergan Plastic Surgery Order Form. 3. Data on file, Allergan, January 6, 2017; Study Report MD16076-DV. 4. Data on file, Allergan, July 14, 1986; FDA Section 510(k) marketing approval letter. 5. Data on file, Allergan, February 3, 2017; Study Report MD16075-DV1. 6. Data on file, Allergan, February 8, 2017; Study Report MD16075-DV2. 7. Natrelle® Silicone-Filled Breast Implants and Natrelle INSPIRA® Breast Implants: Smooth & BIOCELL® Texture Directions for Use, 2017. 8. 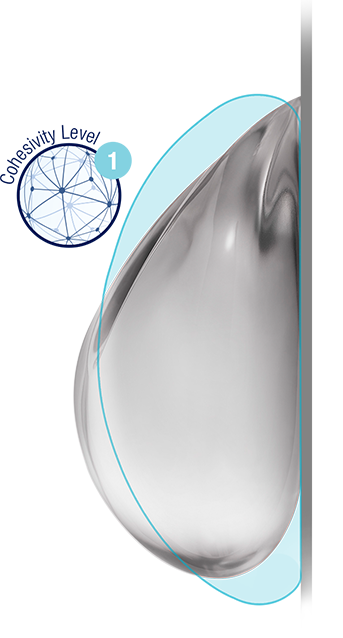 Own the Day: Mentor® MemoryGel® Breast Implants Product Catalog. Irvine, CA: Mentor Worldwide LLC; 2017. 9. Our products: breast implants. Mentor website. http://www.mentorwwllc.com/global-us/Breast.aspx. Updated April 2016. Accessed December 13, 2017. 10. Data on file, Allergan, March 2016; Plastic Surgery A&Us: PLS and Patients. 11. 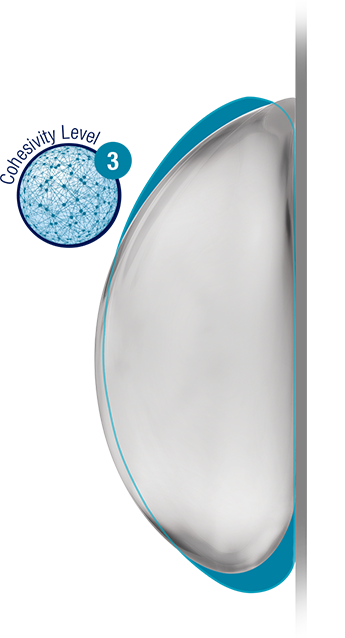 Natrelle® 410 Highly Cohesive Anatomically Shaped Silicone-Filled Breast Implants Directions for Use, 2017. Interested in doing business with Allergan? Call 800-NEW-2AGN.